There are times when bigger really is better. If you’re planning on organising a monster-sized event, packed full of eager attendees, then you’re going to need our sports hall hire London services. From huge halls to full-sized stadiums, we’ve got the venues you need to make your event go off with a real bang! It’s never been easier to get sports hall hire in London, thanks to the tireless work our team at Venueseeker put in. Whether you’re organising a large-scale conference, a major networking event, or the kind of launch party that people will be talking about for years to come… we’ve got the venues that will allow you to dream big, and realise your most ambitious goals. What makes it unique: This huge venue is the home of Sunderland FC, and is an iconic stadium which has been serving fans and corporate events alike for two decades. Boasting everything you could need for a wide array of events, this stadium could be the perfect large-scale venue you’ve been looking for. 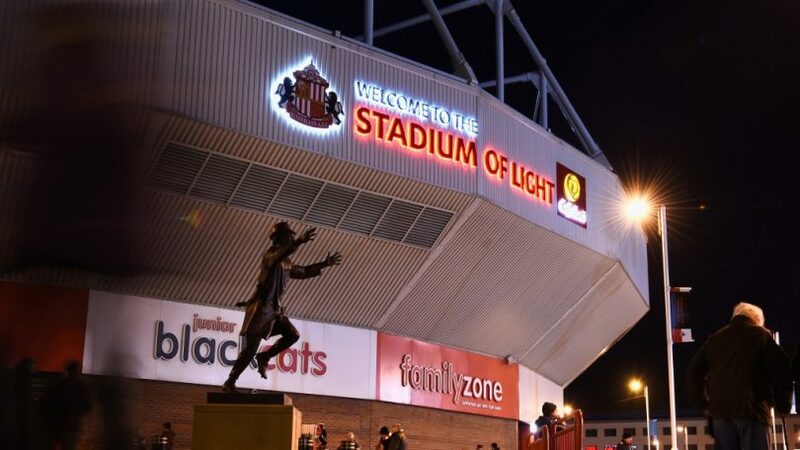 With a vast array of different rooms, bars, venues and more intimate spaces, events venues don’t get much more versatile than the stadium of light. Attendees will love the huge Black Cat’s Bar, which has an impressive capacity of up to 1,000 people, a disco, space for live entertainment, and views of the iconic pitch. For smaller scale gatherings, there’s the Riverview Brasserie, which offers guests elegance and comfort in its stylish surroundings, and the James Herriot suite, which is smaller still, and perfect for drinks receptions. What makes it unique: you don’t have to be a rugby fan to appreciate the scale and grandeur of Twickenham stadium. With its excellent accessibility with over 2,000 parking places, and range of 25 rooms or spaces for hire, this is a venue which really does do it all. 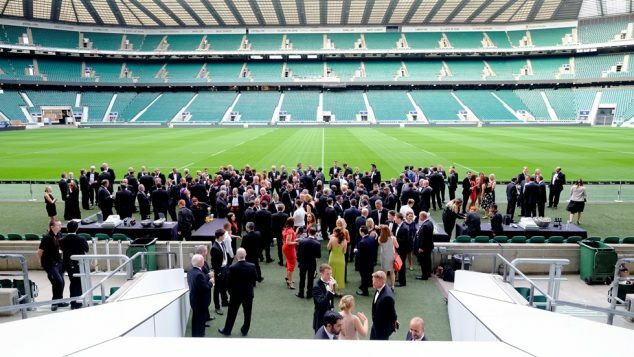 Twickenham Stadium has long since proven itself to be one of the finest London sports halls for hire, with an excellent track record of amazing functions and conferences over the years. As the home of English rugby, this stadium is famed throughout the world, and hosting your event at this hallowed ground would be a dream come true for many! Sitting just a 20 minute drive from central London, and easily accessible from Heathrow airport, your delegates will be delighted at how brilliant accessible this venue is, before they’ve even stepped inside its magnificent interior. What makes it unique: No expense was spared in creating the new home of Arsenal football club, and it really shows. Not only is this a world-class football stadium, it’s also one of the UK’s most impressive events spaces. There are few people who haven’t heard of Emirates Stadium. 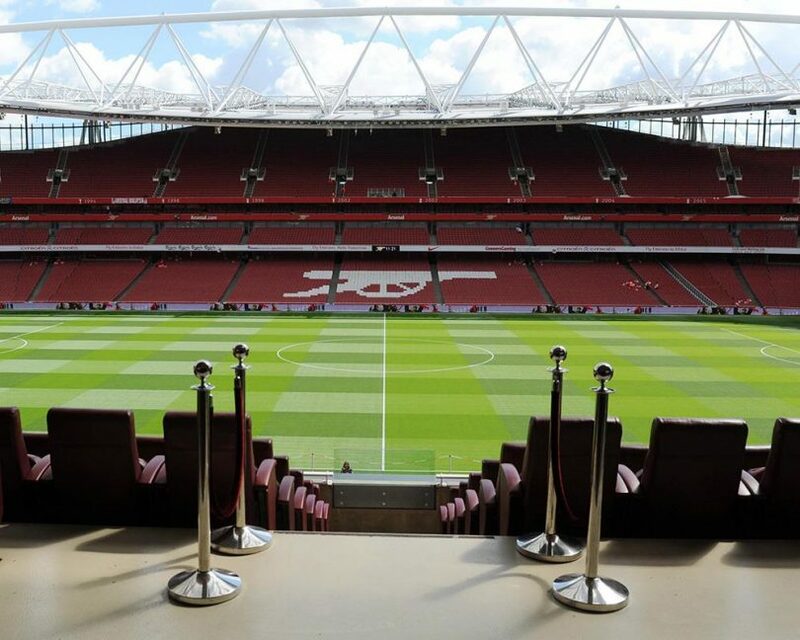 Its opening was a major event in the world of sport, and ever since, it has enormously impressed sports fans and corporate events organisers alike – this is a venue which really packs in the features, and offers more versatility than most venues could dream of. The state of the art facilities mean that this is a sports hall for hire in London which really can make your wildest events fantasies a reality, and the dedicated team working there have more than proven their worth when it comes to making the impossible come to life. 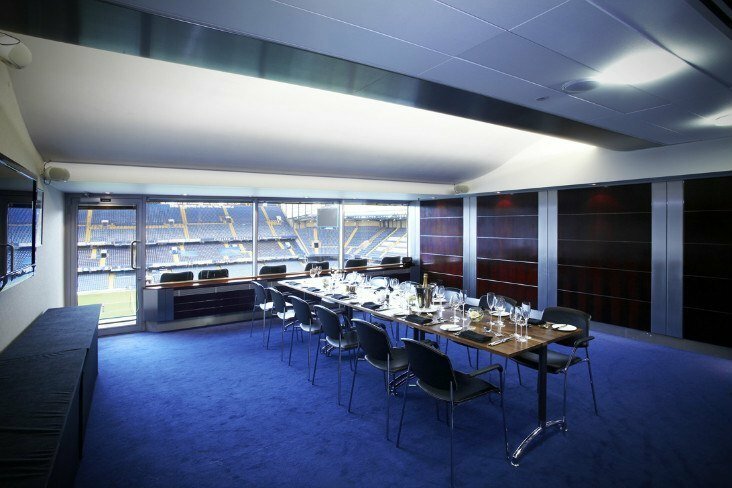 What makes it unique: Elegant, opulent, perfectly situated in West London, and packed full of superb features, it’s little wonder that Chelsea FC regularly tops the lists of events organisers’ dream venues. Capable of handling almost anything you could pitch at it, this is an events space in London which consistently impresses, and can provide a truly memorable experience for all. If you’re looking for a sports venue to hire in London, then Chelsea FC is surely the one which truly has it all. Combining luxurious hotel accommodation with state-of-the-art meetings spaces and conference halls, and boasting facilities such as a gym, a health club and a spa, this venue is sure to put a huge smile on your guests’ faces as soon as they enter. 24 function rooms, 60 syndicate rooms, and a dedicated team of events experts at your disposal… what more could you possibly ask for? What makes it unique: Situated in the heart of London, and boasting some of the most impressive interiors you’ll find in a London sports hall for hire, Lord’s Cricket Ground is a superb venue with the versatility and wow-factor you need to make a big impression. Lord’s Cricket Ground is the most iconic venue in the world when it comes to the great British sport of cricket. What many people don’t realise, however, is just how magnificent this venue is as an event’s space – the use of innovative interior design, period features, and modern facilities make this a peerless venue with the added bonus of being fantastically accessible. The Nursery Pavilion forms the heart of this venue, and it’s one of London’s largest events spaces – sure to make a powerful impact. However, it’s not all big and cavernous here; Lord’s also offers beautifully designed intimate spaces, perfect for dining and business meetings, too. What makes it unique: this brilliantly designed and fascinating venue is the third largest in London, and the star of the Queen Elizabeth Olympic Park. Absolutely vast, highly flexible, and capable of hosting almost anything… it’s a real gold medal winner when it comes to sports halls for hire in London. Versatility and flexibility are the two things which immediately spring to mind when it comes to the Copper Box Arena. This purpose-built venue was one of the crowning glories of the 2012 London Olympics, and its new life as a multifunctional events space means that event organisers in London now have an amazing venue to take full advantage of. With its amazing light and sound system, this is a venue in which you can truly host a spectacular event like no other. 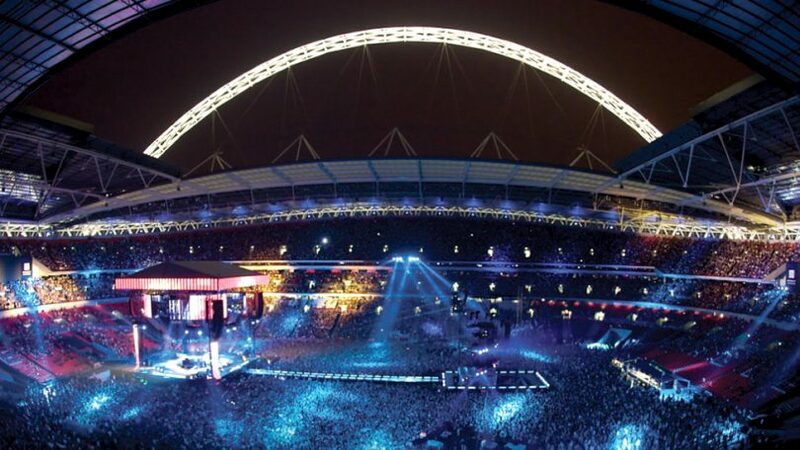 What makes it unique: There aren’t many venues in the world quite as iconic as Wembley Stadium. This venue has played host to some of the greatest sporting and musical events in history, and the atmosphere of this place is nothing short of electric. Although the stadium itself has room for 90,000 spectators (making it the biggest stadium in the UK), within the complex, you’ll find conference rooms and events spaces which are no less impressive. Brilliantly accessible, utterly unforgettable, and perfect for lavish, impressive, world-class events of all descriptions, Wembley is a dream venue that allows you to think bigger than ever. Sports venues in London come with so many advantages. They’re set up to deal with massive numbers of people, and cope with all kinds of logistics challenges. They’re highly accessible, generally enormously impressive and lavish, and come with the kind of atmospheres that other venues would give their right arms for. Venueseeker knows great venues when we see them, and we love nothing more than finding the perfect spaces for our clients to transform into perfect events. With our skills and experience, there’s nothing we can’t do – and that’s why we’re a top-notch provider in the events industry. Get in touch today to find out more!